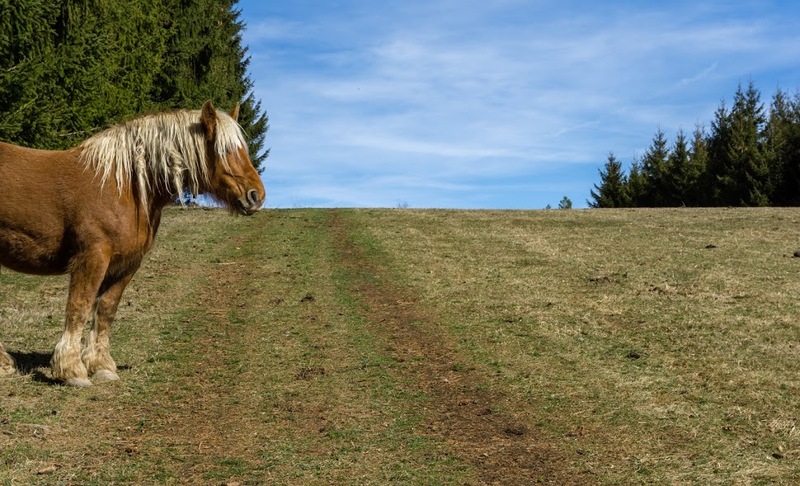 Somewhere in southern France, within sight of Andorra, in the Eastern Pyrenees and about 1200m above the sea level, lies the plateau d’Aillou. It has heaps of walking, cross-country skiing and snowshoeing opportunities. It’s high but not too steep or rocky which makes it great for exploring any time of the year. The walk which crosses the plateau (in French Autour du pays d’Aillou) starts in the mountain village of Prades. You can walk it in either direction, for me it makes more sense to nail the mountainous part first and leave the flat part for the way back. There quite a few signposts in the town, you need to find the one heading towards Refuge Chioula at 1600m. That’s not too hard because it lies directly on GR 107, an important (and really epic) long-distance walk which crosses the Pyrenees from the Spanish side to the French, passing Andorra on the way. Starting next to the signpost in the northern side of Prades, the walk continues past the cemetery. It crosses a small stream down in the valley and goes gradually up to to the forest. About half an hour later you get to Montaillou, another mountainous village with a few buildings to admire – the church and the Montaillou castle ruins on the top of the hill. From the village the trail continues up through a green valley more or less along a stream. It’s well marked, just keep an eye on the red marks. After about an hour of gradual ascent through the forest you reach the tree line. From there it’s not that far up to the saddle (1670 m), the highest point of the trail. 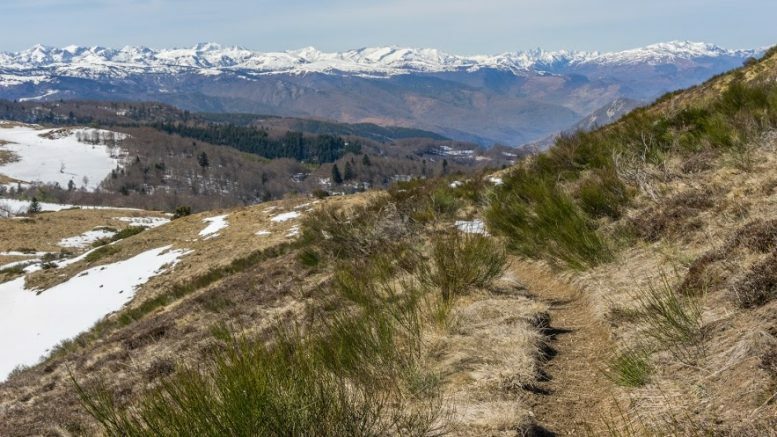 The landscape is now grassy with mind-blowing views to the main ridge of the Pyrenees. The navigation in this part can be a bit tricky because there are not many red marks to follow and in the winter some of them can be under the snow. Just try to keep walking south, which is directly across the plateau, and you’ll be fine. It takes about an hour to cross the plateau. When you join the road heading from the fenced paddock, you’ve won! Follow the road and you’ll soon see a glimpse of Refuge Chioula in front of you, just next to the forest line on the right side. It takes another half hour to get there. At the refuge you can get everything from beer to a hot meal. From the refuge you leave GR 107 and you will follow the yellow marked trail which leads you back to Prades. The trail basically goes straight down to the main road. 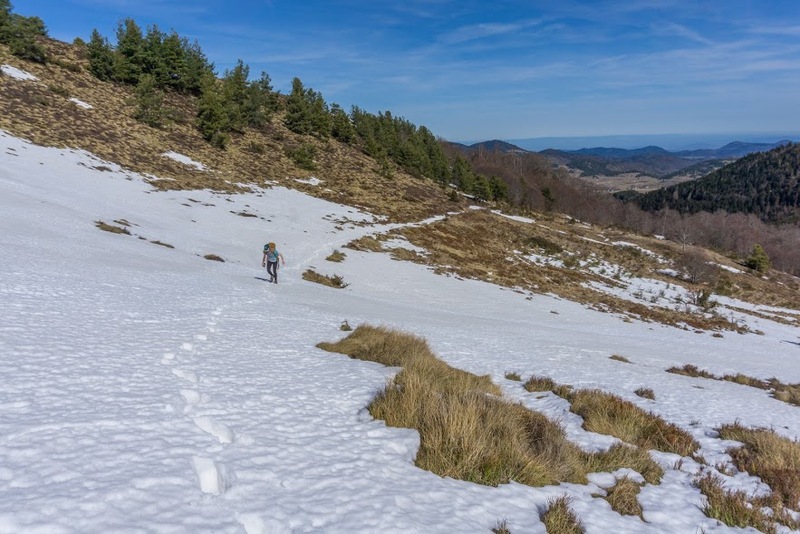 There are many signs around (for snowshoers, cross-country skiers, bikers and for who knows whom) the yellow one is yours but if you miss it, as long as you’re heading down, you should be fine. From the main road the trail more or less copies the road all the way to Prades. 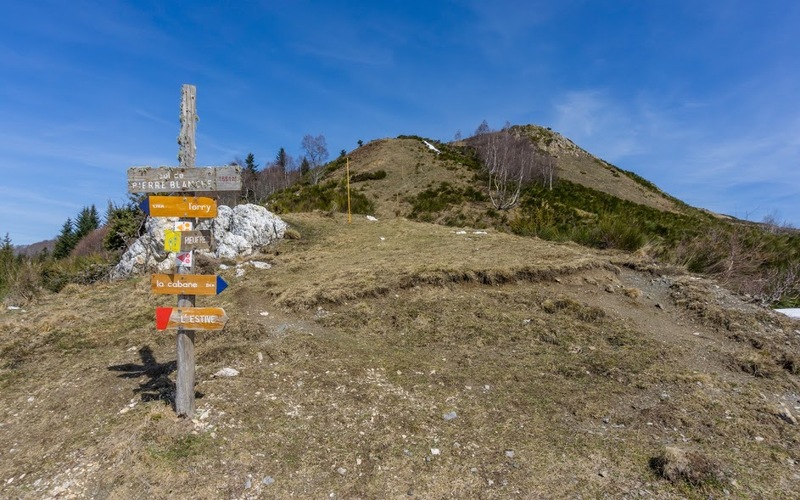 It’s an awesome hike with really great views and quite easy too, provided you are not walking on snow for too much of the time (this gets tiring). Great option for any time of the year! Be the first to comment on "Around the land d’Aillou"